Capture time-series metadata from any Salesforce account. Store snapshot in repo or send to admins for compliance and backup. Push metadata from any snapshot into another account. Use saved snapshots for backup and metadata rollback. 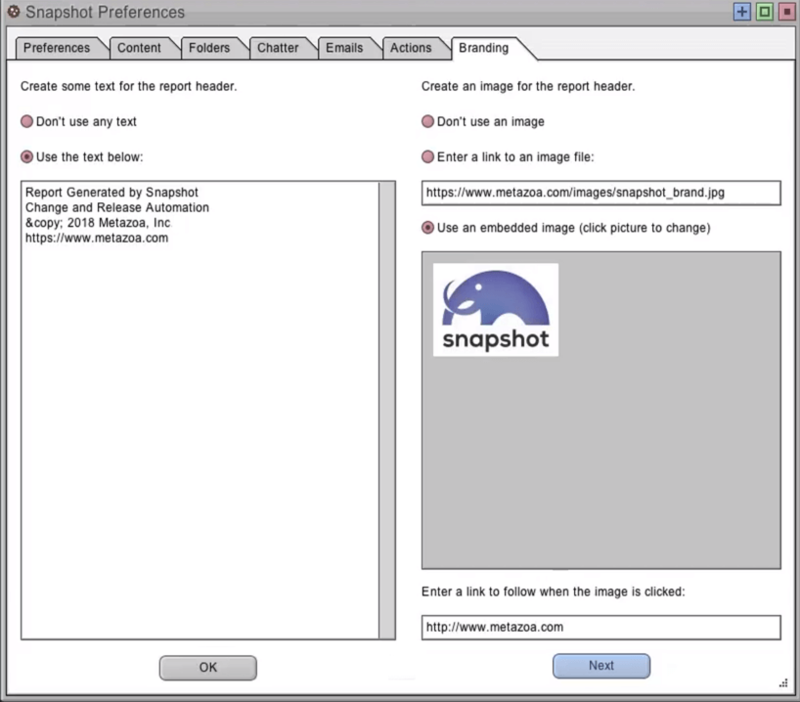 Compare snapshot changes between orgs or over time. Run sophisticated metadata reports on saved snapshot files. 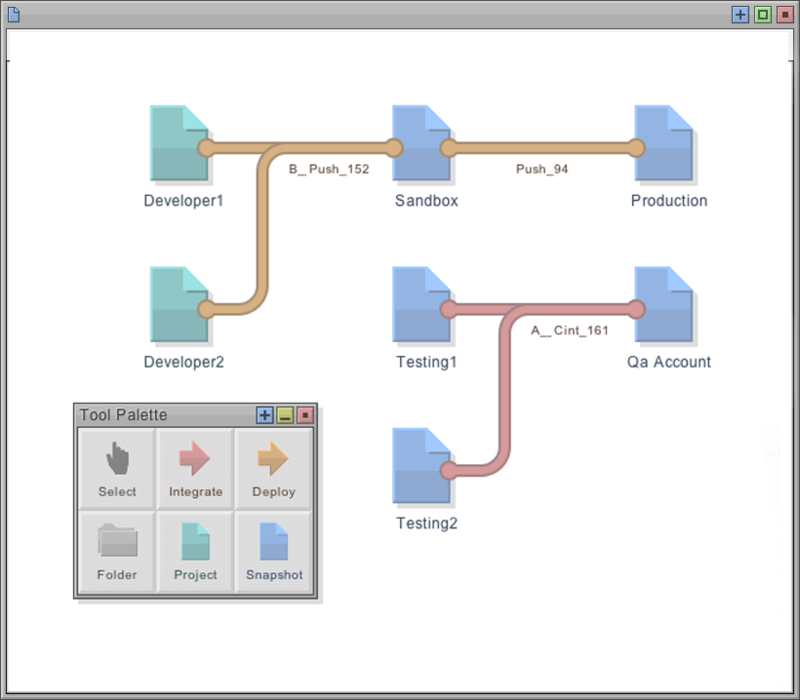 Analyze differences between sandbox and production. Analyze differences in the same account over time. Analyze differences before and after developer project. Highly visual and interactive difference analysis tools. Save comparisons as detailed HTML, CSV, or PDF reports. Set up automated reports triggered by metadata changes. Review deployment history and Setup Audit Trail before push. 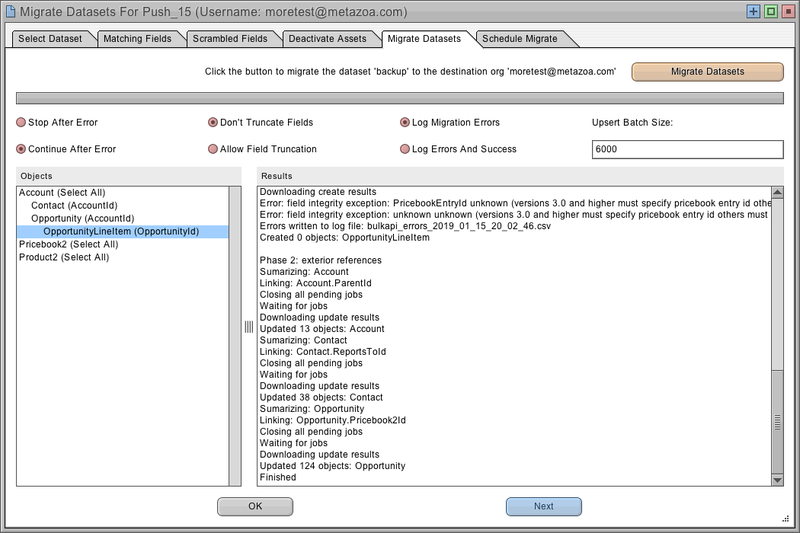 Manage, search, and merge previously used job lists. Select related or different objects, and see detailed differences. 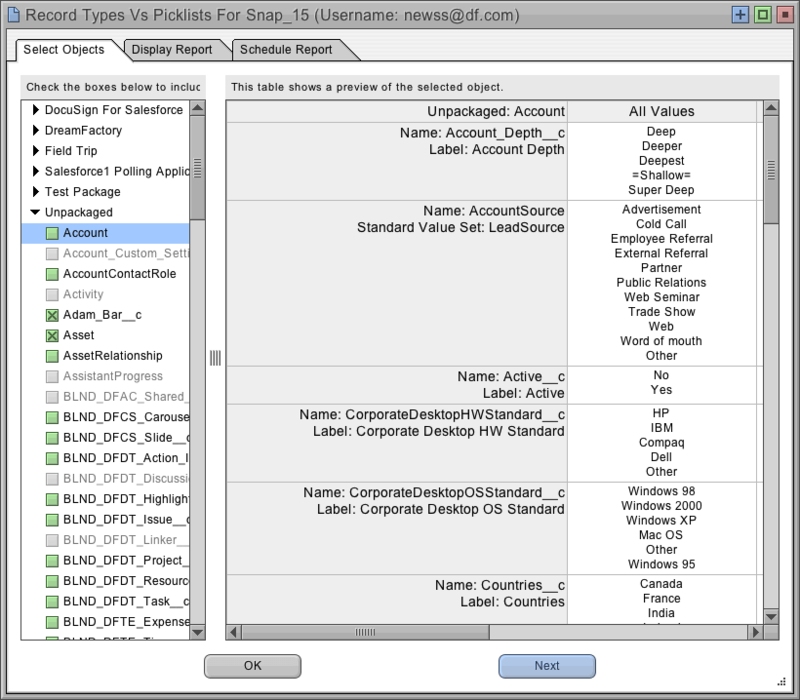 Use metadata transforms and cleanup to reduce errors. 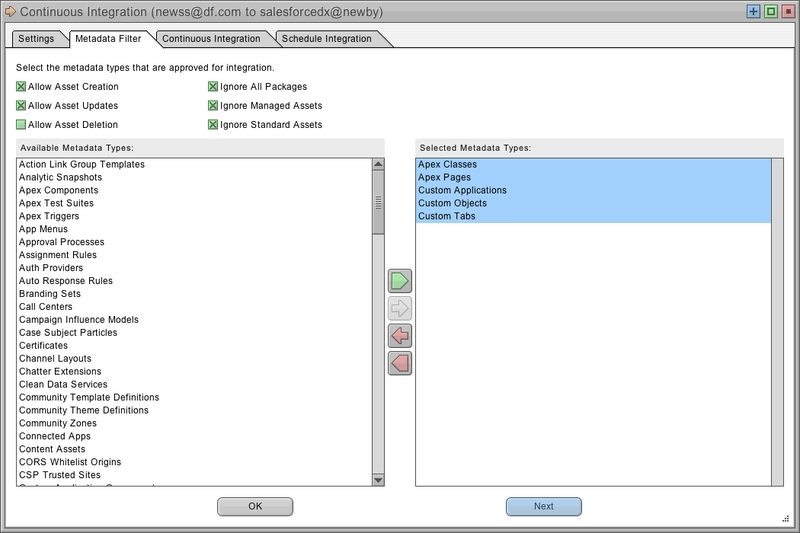 Set up automated deployments, quick deploy, and account rollback. 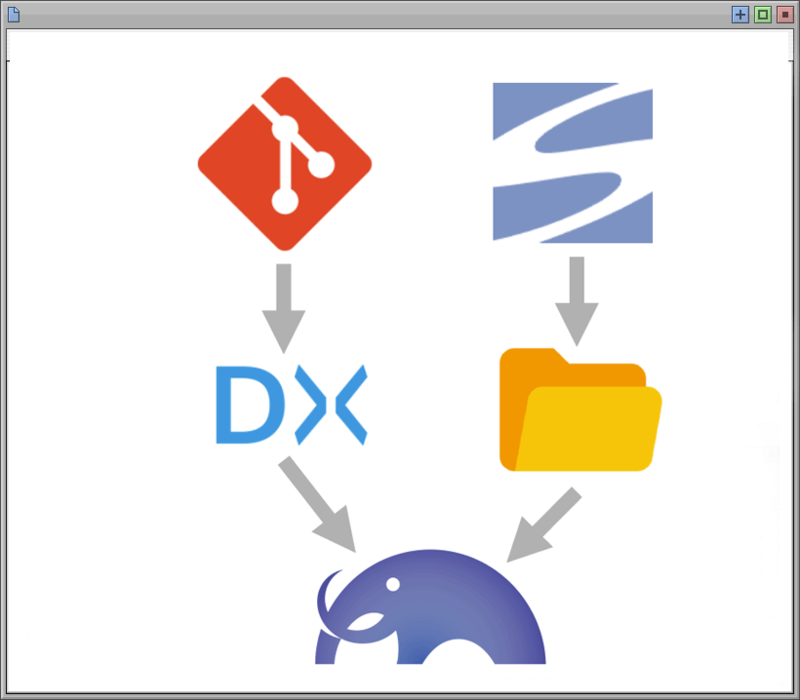 Document deployment history with custom objects. Clone developer repositories from Git, SVN, or any other source. 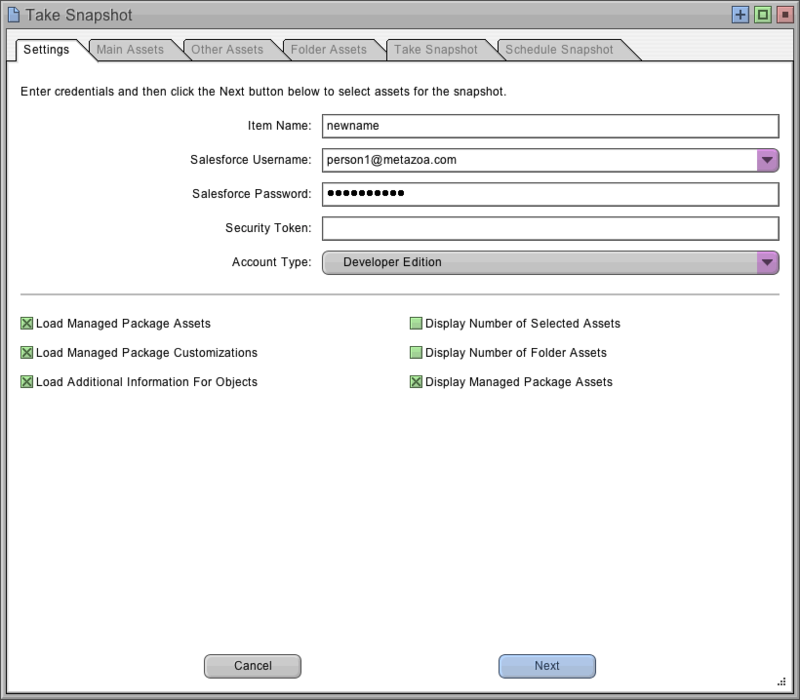 Convert Salesforce DX projects into metadata snapshots. Convert free-form folders full of asset files into metadata snapshots. Connect developer projects to sandboxes and production orgs. Set up continuous integration between any Salesforce Org, content repository, or project folder. 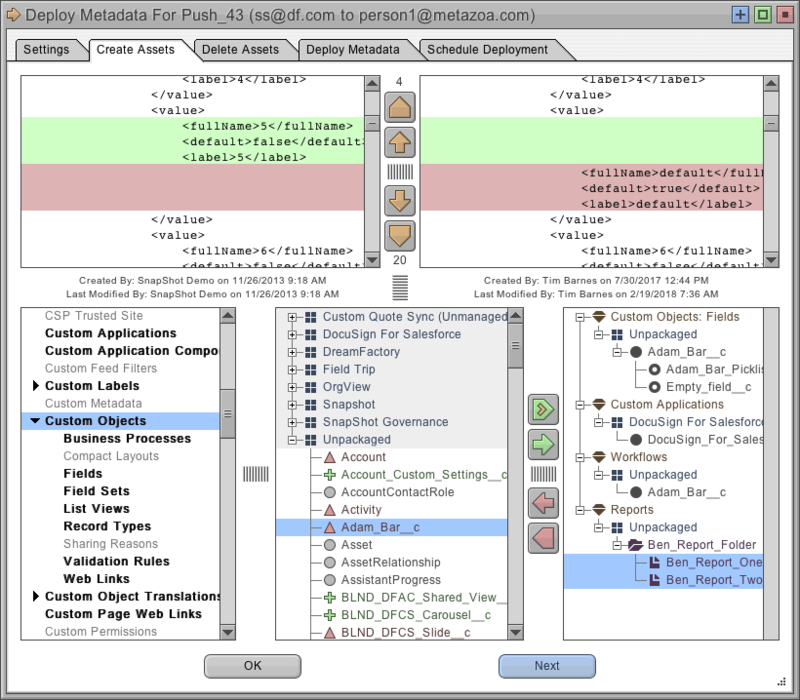 Trigger integration by metadata differences or recent deployments. Connect to content repositories including Git, Github, Bitbucket, SVN, or TFS. Store developer projects in Metadata API or Salesforce DX format. Create datasets with parent and child objects. Import CSV files from Excel, SAP, Oracle, etc. Match destination objects with multiple fields. Scramble fields with sensitive or private info. Remap objects and fields to destination schema. Relationships remain connected after migration. Uses the Bulk API to support massive datasets. Layout reinforces logical structure of accounts and metadata flow. Create items for developer projects, sandboxes and production accounts. Take metadata snapshots to view and report on any of the items. Connect items with deployment arrows to compare or move metadata. Connect items with continuous integration arrows to deploy changes. Branded reports are in CSV, HTML or PDF format and can be automatically saved in content repos or sent to administrators. Field Usage – shows most and least popular data values. Picklist Usage – shows most and least popular picklist values. 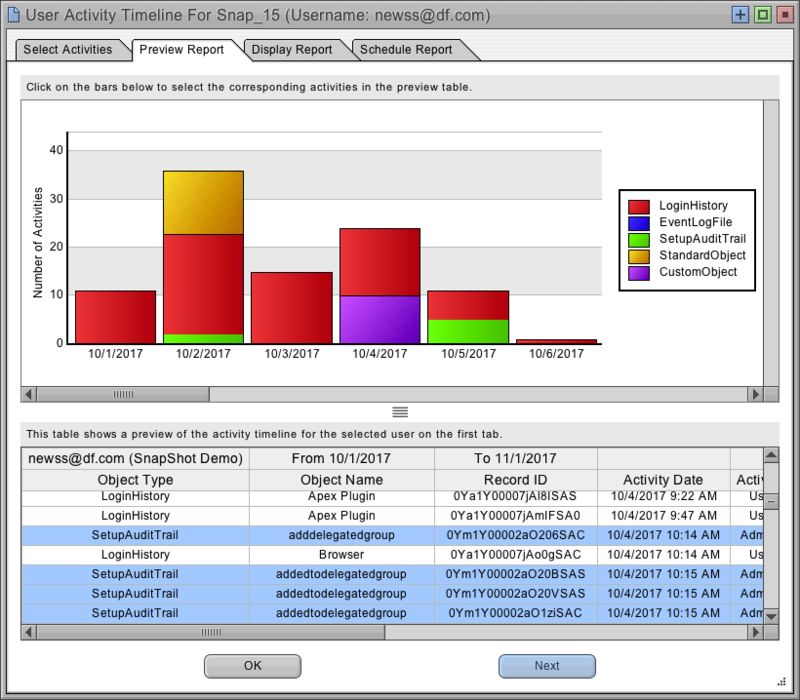 Last Activity Date – find stale reports, dashboards, and email templates. 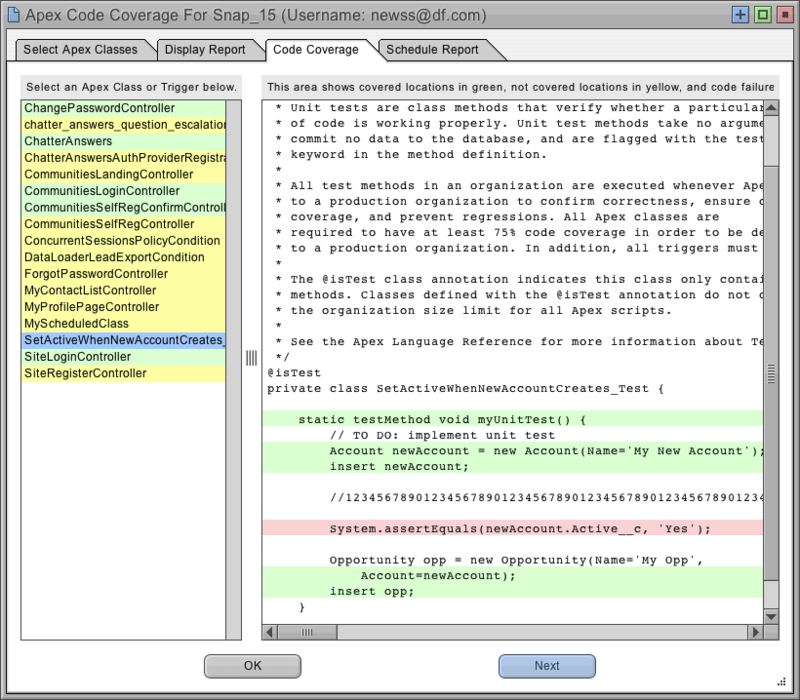 Apex Code Coverage – view coverage metrics across Apex Classes and Triggers. Record Level Security – see all user access to any set of objects. User Activity Timeline – see all user activity in account over time. Security Health Check – monitor org for security and compliance. Profiles and Permission Sets – view combine profile + permission sets. Branded reports in CSV, HTML or PDF format and can be automatically saved in content repos or sent to administrators.